We are glad to present you an absolutely new and adorable nesting doll. This beautiful doll illustrates the Russian Winter Troika. 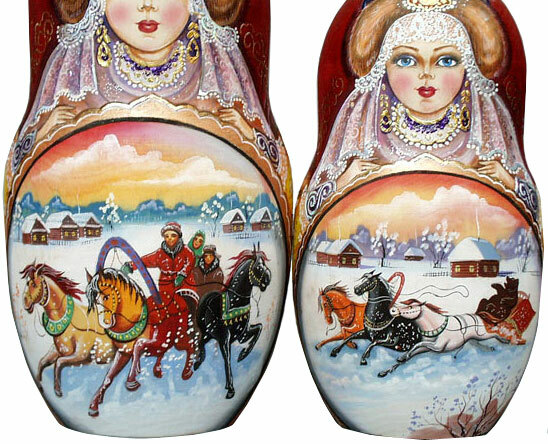 Troika is the famed carriage or sleigh pulled by three horses abreast, and almost a symbol of Russia. For those who do not know it, here is the celebrated passage from Gogol\'s \"Dead Souls\": \"Eh, thou troika, thou that art a bird. Who conceived thee? Me thinks \'its only among a spirited folk that thou couldst come into being? Ah, these steeds, what steeds they are! Are there whirlwinds perched upon your manes? Is there a sensitive ear, alert as a flame, in your every fibre? Ye have caught the familiar song coming down to you from above, and all as one, and all in the same strained your brazen chests and almost without touching earth with your hooves, ye have become all transformed into straight lines cleaving to the air, and the troika tears along, all inspired by God!\"
There are 10 figures of amazing dolls in the nest. 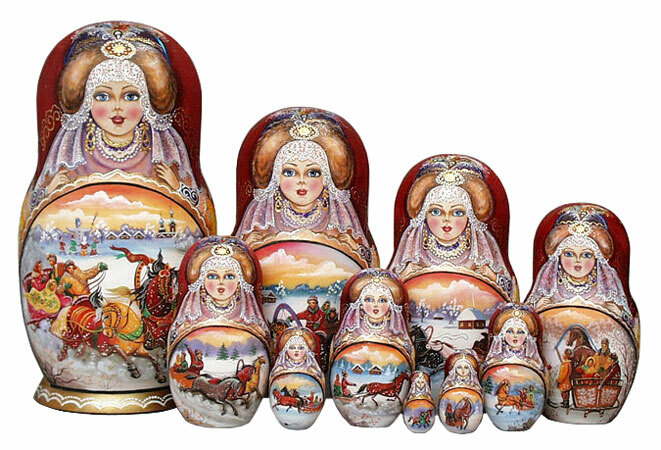 The doll is signed by a famous Russian artist Bezrykova. In work the artist used tempera with egg emulsion and fine polecat brushes. 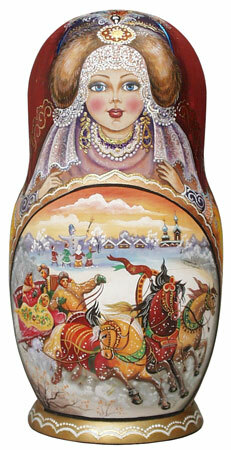 Very rich and bright paints including gold (\"patal\") are used. 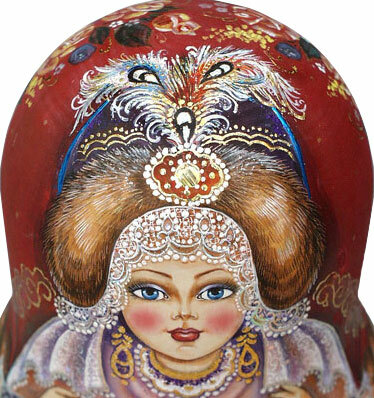 All the drawings of this item are made by the real artist so delicate and subtle, that as a whole the doll is just breathtaking! Everything is shining and sparkling. 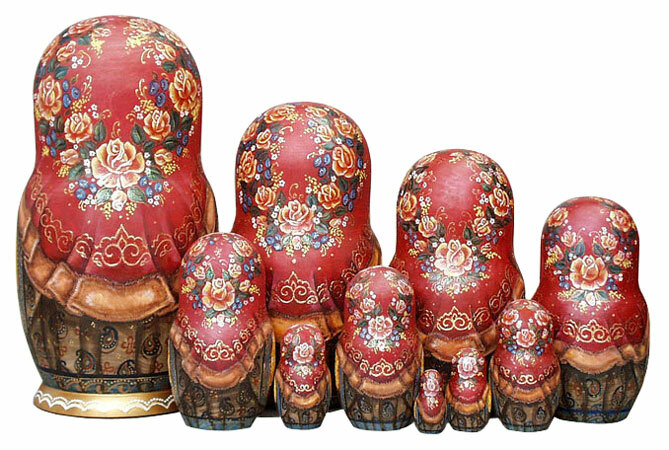 The tallest one is 11inches, the smallest - 1 1/2 inches.